“Kindred Spirits” – our Annual Benefit Concert! Sopranessence presents a concert benefitting St. Jude Children’s Research Hospital. Join us as we celebrate special connections, including friendship, kinship, sisterhood, and yes, even frenemies! This event will feature Sopranessence’s unique arrangements of music from popular operas & operettas such as Hansel and Gretel, The Mikado and Mozart’s Cosí fan Tutte; audience-favorite musicals like Miss Saigon, Cinderella, Wicked, and much more! Click below to hear the inspiring story behind this year’s benefit! SPECIAL BOGO OFFER: Every General Admission ticket purchased gets one free entry for a child 12 or under to honor St. Jude’s philosophy of no child pays! Join Sopranessence in its goal of raising $1,000 for St. Jude! 50% of all concert proceeds will be donated! 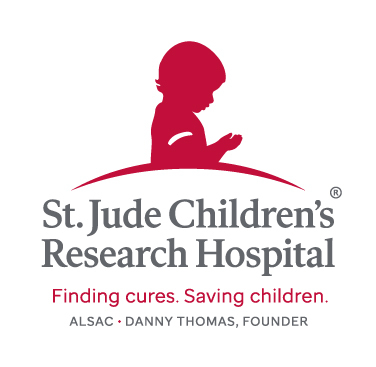 Click below to make a direct donation to St. Jude Children’s Research Hospital! 3) a small scar on my neck. These are the only remaining evidence of my battle with Neuroblastoma as a 10 month old baby. Oh how different things could have been! Thanks to the amazing staff at St. Jude Children’s Research Hospital, I am here to tell my story and sing their praises today. I am eternally grateful for the care my family & I received! Now, at 32 years old, I am a part of the St. Jude Life Survivor Study, where the research gathered from my tests can hopefully benefit current and future patients. Because of the research and continued efforts of St. Jude the overall childhood cancer survival rate has risen from less than 20% in 1962 to over 80% today! With your support, St. Jude can continue to fight for the remaining one in five.